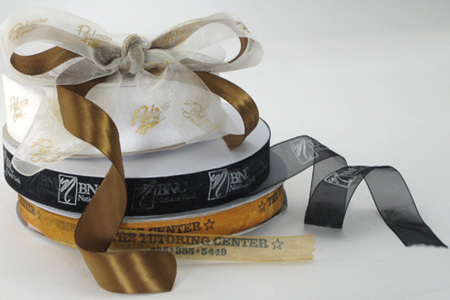 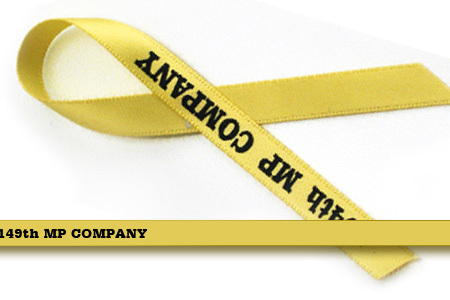 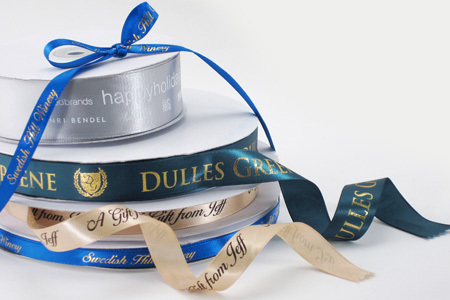 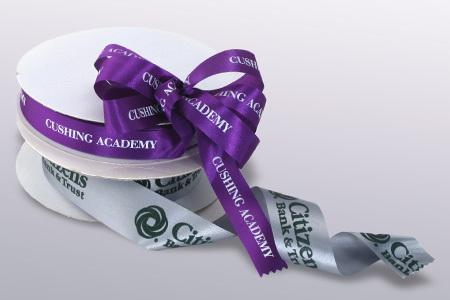 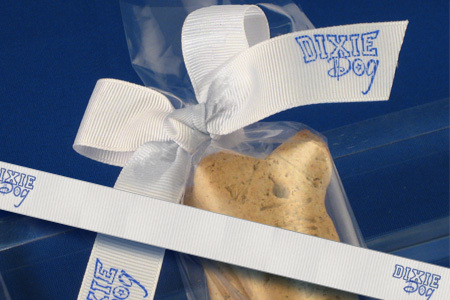 Custom Ribbon Rolls: Printed with your logo and text. 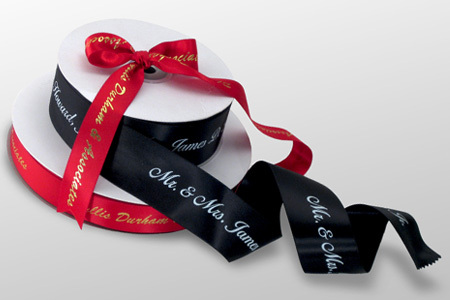 Personalized ribbon rolls are perfect for any event. 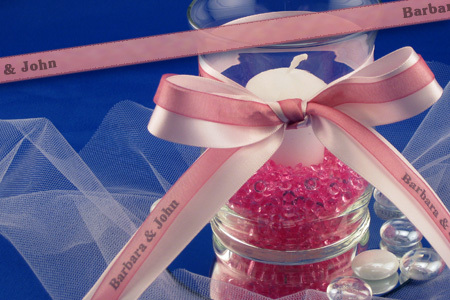 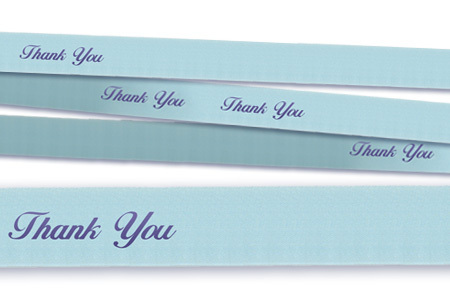 Order printed ribbon with your custom message for wedding favors, baby and bridal showers, birthdays, anniversaries and more. 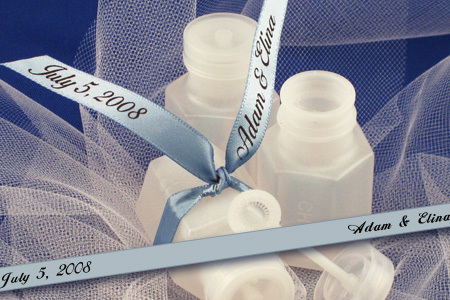 Add your logo or artwork for product branding, corporate advertising or retail packaging. 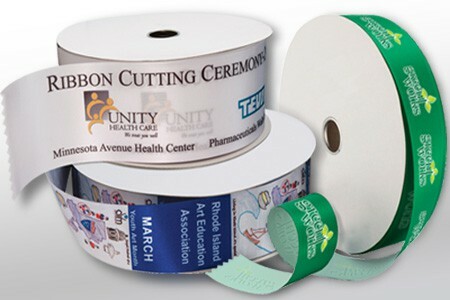 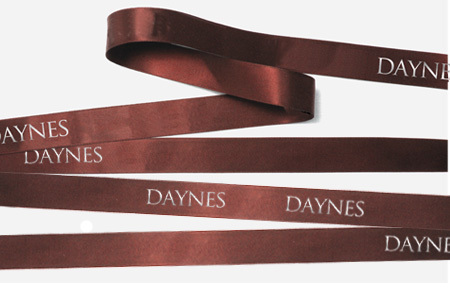 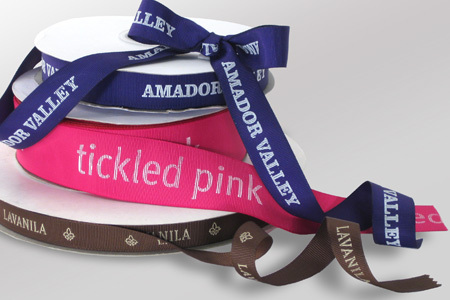 Printed with your logo or message along the entire length of the ribbon it is easy to cut these ribbons to the length you desire. 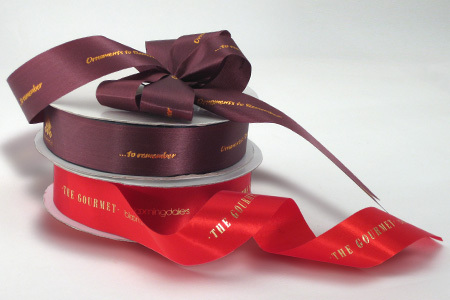 Use them to tie bows, wrap a gift, decorate and more.